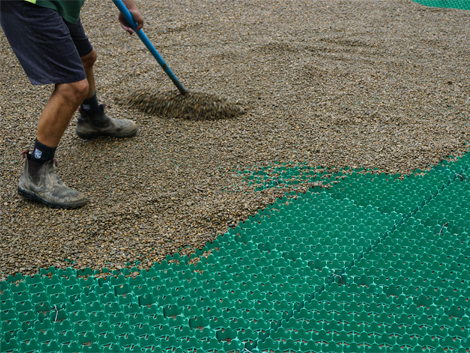 Econogrid 40™ stabilises the gravel removing maintenance issue such as ruts forming, gravel migrating due to tyre movement and or gravel sinking. Increasing the driveways strength and durability Econogrid 40™ is an ecofriendly solution made from recycled material and is a cheaper alternative to concrete or asphalt. 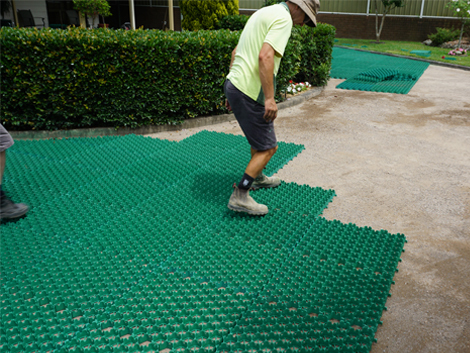 It was very important for the client to have a permeable driveway that did not contribute stormwater runoff into the world heritage Blue Mountain National Park. EconoGrid 40™ achieved this through its open honeycomb cell paver design. 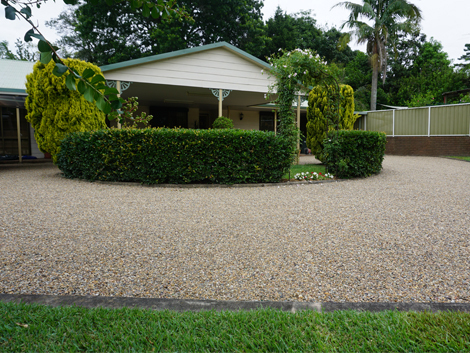 The clients filled the porous pavers with Nepean River bed stone to create a brilliant finish and feel to the driveway. Important to fill the pavers with an aggregate that does not have fine content and the stones are greater than 10mm, this maintains the permeability of the structure. Once the pavers are filled a load capacity of 150ton is achieved and each paver locks together with our unique locking system to give further strength and durability. 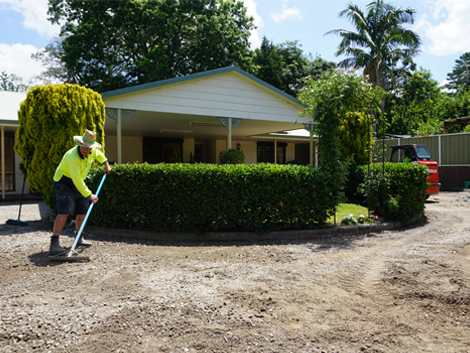 The EconoGrid 40™ driveway is low cost option that stands the test of time and looks great.